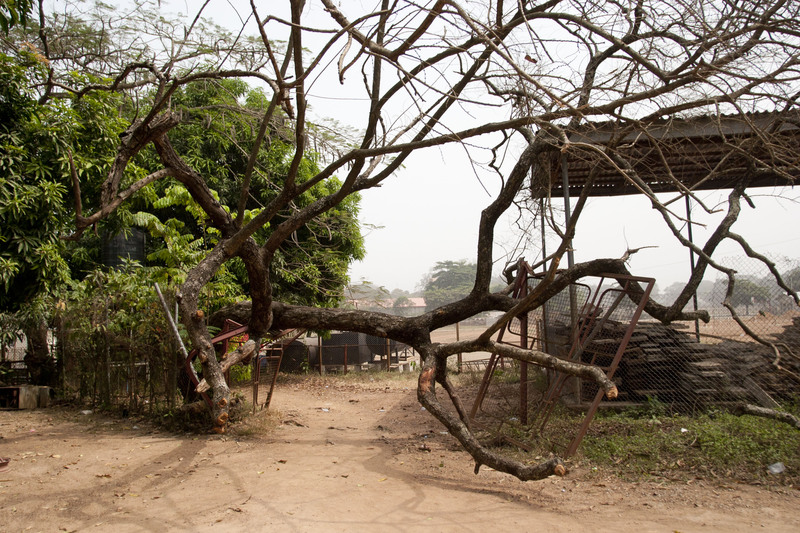 This tree fell in October, blocking the path between Social Sciences and the sports fields. I duck my head under the tree everyday to get to class. Sunday afternoon study session on the bleachers. 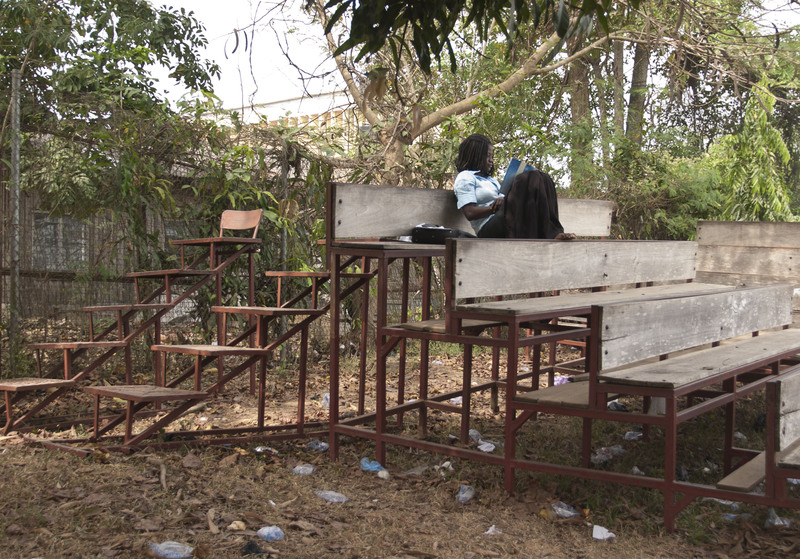 I have passed this place a few times when the bleachers were full and a class was in session. A typical January day. 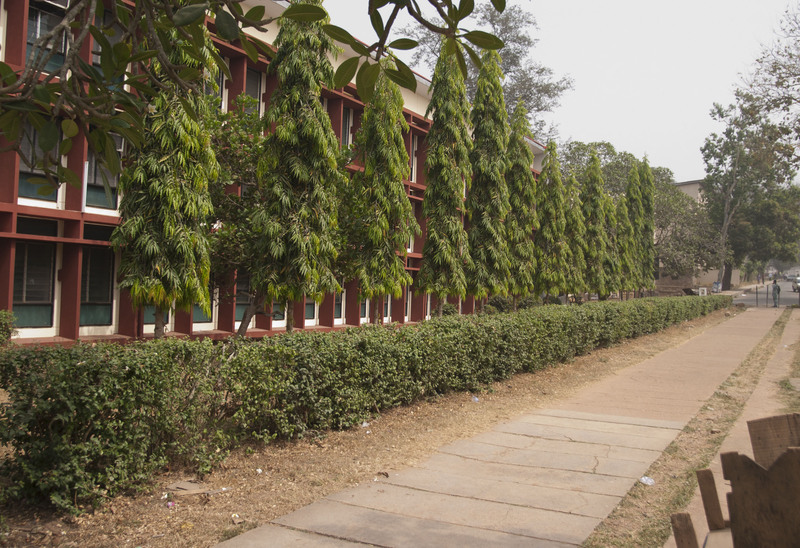 The path behind the freshly painted faculty of arts. 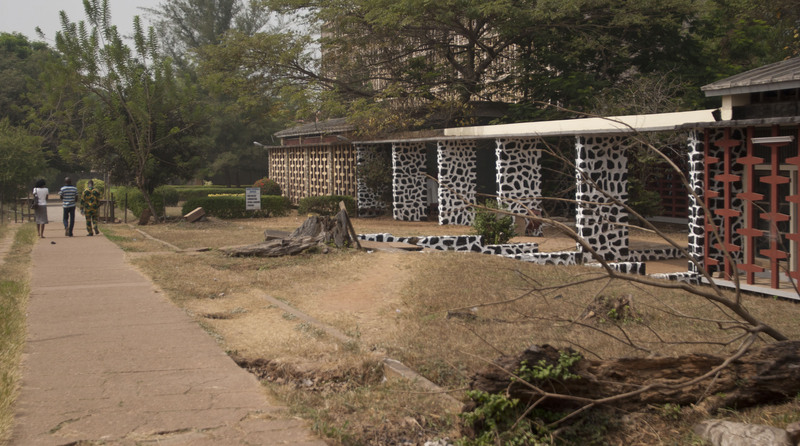 Trees and bushes line the path behind Faculty of Arts at University of Ibadan. 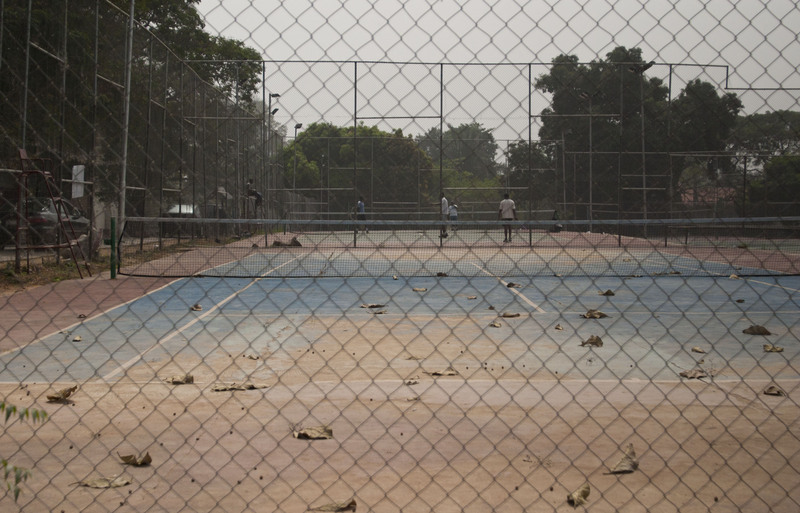 The dusts from the harmattan season cover the UI tennis courts. The yard of the Student Union Building quiet on a Sunday afternoon. 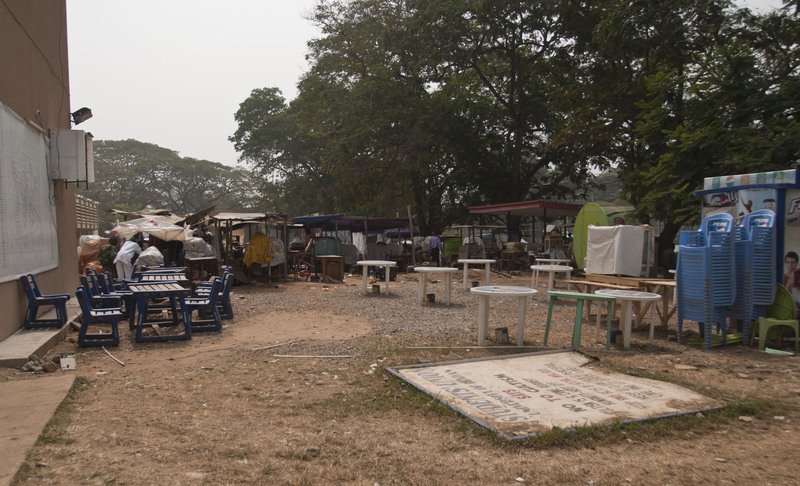 During the week the place is filled with students, people selling phone cards, books, magazines and snacks.